Trey Edward Shults’ directorial debut, Krisha, was one of the most traumatizing films of 2016. Though it wasn’t technically a horror movie, its Thanksgiving-from-hell tale is still giving us nightmares. His next film, It Comes At Night, is more overtly situated in the horror genre, and its first teaser is as enigmatic as it is unsettling. Imagine the end of the world. Now imagine something worse. 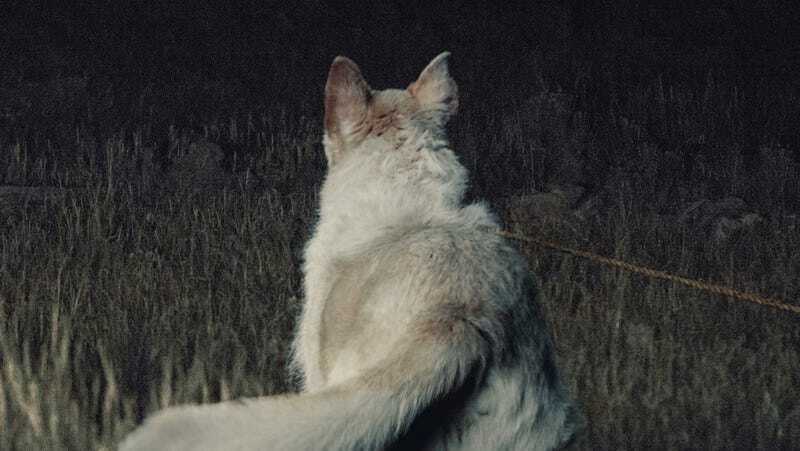 Award-winning filmmaker Trey Edward Shults follows his incredible debut feature Krisha with It Comes At Night, a horror film following a man (Joel Edgerton) as he is learns that the evil stalking his family home may be only a prelude to horrors that come from within. Secure within a desolate home as an unnatural threat terrorizes the world, the tenuous domestic order he has established with his wife and son is put to the ultimate test with the arrival of a desperate young family seeking refuge. Despite the best intentions of both families, paranoia and mistrust boil over as the horrors outside creep ever-closer, awakening something hidden and monstrous within him as he learns that the protection of his family comes at the cost of his soul. In addition to Edgerton, It Comes At Night (what the hell is “it,” exactly? And who opened the damn door?) stars Riley Keough, Christopher Abbott, and Carmen Ejogo. It’s due out August 25.